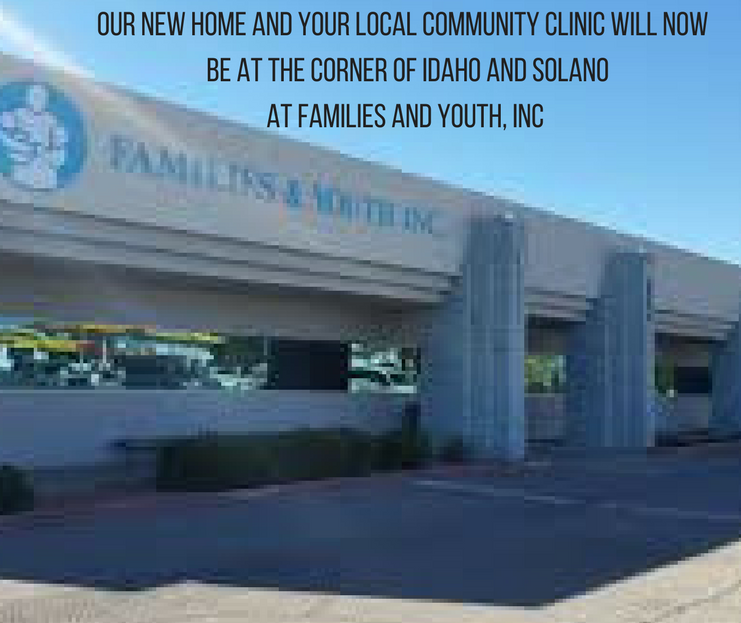 Why: In solidarity with 20 network Crossroads community clinics in the borderlands that right now offer free acu in poor neighborhoods, we’ll do the same here in Las Cruces. Thousands of treatments have been given in these clinics since 2011. Donations will be accepted, every penny of which will go towards supporting these clinics, and establishing new clinics specifically for survivors of violence. Starting June 1, our prices will be $16-$41, sliding scale, with a first time paperwork/admin fee of $10, which is still by far the most affordable acupuncture in the El Paso/Las Cruces area. A percentage of every treatment will go to support network Crossroads clinics in the borderlands that operate in some of the most impoverished corners of our region. Together, with your help, by getting acupuncture, we are reducing health disparities in our region, one treatment at a time. Learn more about our support for borderland free clinics and how you can contribute in other ways to this project: https://crossroadsacupuncture.com/our-support-for-communities-in-the-border-region/ Also, you can read more about a similar project by our colleagues in Victoria British Columbia. Closed June 12-16, going to Yale! We’ve been here since the end of March here in downtown Las Cruces. Three weeks after opening, a high end restaurant next door, La Iguana, was forced to close amidst economic downturn. It was discouraging for every business in downtown, a sobering moment for the entire city. One of the reasons we’re downtown is because we believe that this part of the city needs to build social capital. Many of our clients say they haven’t been downtown in years. So far, in just 2 months, we’ve provided over 300 affordable acupuncture treatments, primarily to people who have never had access to acupuncture ever before. Thank you, Las Cruces and Greenworks! This was possible because of you. Acupuncture for everyone? You really mean everyone? The other day, a man expressed to us some angst that our prices were so low. He said we were “giving away” acupuncture to people who didn’t deserve it, told us we should be charging $60 a session. And I had to chuckle, and redirect him to our mission statement. We exist for one reason: to make acupuncture accessible to everyone. Not just those with disposable income. But everyone. We believe everyone deserves to have access to health care. $5-$20 Sliding scale continues through May 31, no initial paperwork fee will be charged for new clients, May’s a great time to become a client at Crossroads. We were most fortunate and humbled to meet in May with the Parkinson’s Support Group of Southern New Mexico. Click here to read our Crossroads blog about their group, their leader Bill Wallace (Citizen of the Year!) and the use of ear and scalp acupuncture for neurological disorders. Most of our clients have been referred by word of mouth, by you!